We provide FREE quality computer programs to the young people to stimulate economic development, help to create jobs for the youth and provide ICT training to local Non-Government Organizations (NGO’S). Once trained NGOs can adopt the use and application of IT in their day to day activities. We provide computer training to youths from the marginalized communities in Web Design, E-Commerce and Computer Programming. 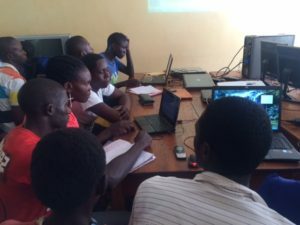 Most of the young people we work with have never come across a computer or no prior computer training and in a short period of time, they become web designers, app developers or computer programmers. Disabled people face a hard time, especially in rural areas. They register the highest dropout rates in secondary school level and have one of the highest unemployment rates in the district. We have initiated a training program specifically to the disabled in order to help these situations, There is a special emphasis on disabled women to aid them with the skills and knowledge that will help them towards paid employment. We are giving children an opportunity to start computer coding at an early stage. 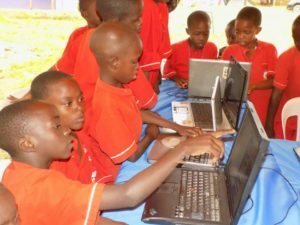 This gives them confidence in computer programming and in the future they will continue their study of computer programming, software development, engineering, artificial intelligence and many other computer-related disciplines . We organise and run seminars and conferences on entrepreneurship for the youth in order to introduce them to business startups, writing business plans, rules and regulations for starting a business, idea generation, funding and other business-related topics. 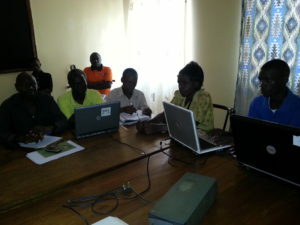 Schools in rural areas lack computer trainers, we teach ICT skills to schools in rural areas in Micorosft Office and Web Design skills.